Those looking for the perfect space for their wedding may feel overwhelmed at the choices. There are a vast array of venues and all come with different options. The prices are just as varied. It is enough to cause headaches for any typical bride. Wedding sites are one alternative for couples. A wedding site is a venue that specializes only in weddings and special events. There are three solid reasons for choosing a wedding site for your ceremony. Wedding sites are created especially for weddings and other events. Since weddings are the bulk of their business, the site is already set up specifically for ceremonies. Wedding sites typically have a coordinator on staff. The staff coordinator has worked many weddings at that site, so she understands the site’s structure, facilities and amenities. You will access her knowledge during the planning process without having to pay an additional fee for her services. Wedding sites can often offer all-inclusive packages. This can be a big stress reliever. 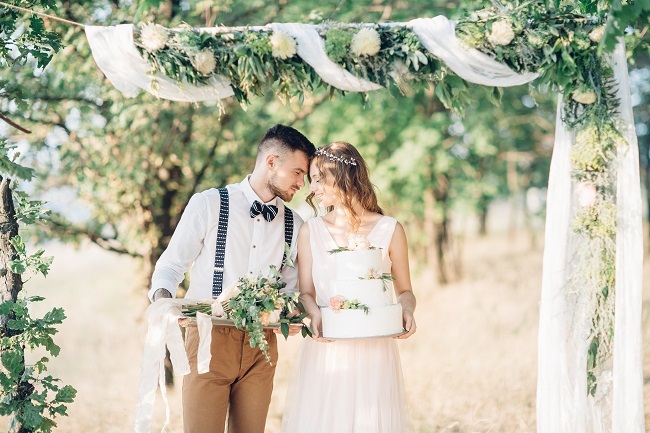 Some wedding sites already have a caterer, baker, event staffing, officiant, rental companies and musicians on hand who either work exclusively for the venue or as preferred vendors. All you have to do is write the check. Also ask if they have a location to host your reception. Some sites will have a reception hall or ballroom on the same property as the marriage ceremony site. This way you, your guests, and your photographer will not have to pack up and drive to a second location to continue the wedding festivities. There is a certain amount of control you may give up when you have your ceremony at a wedding venue, but for some, knowing all details are being taken care of by professionals is a great trade. You can find out more by visiting us for more information by clicking here.